Did you just move to Brooklyn? Are you moving to Brooklyn? Did you move your business to Brooklyn? Congratulations – it’s the most populous borough in New York and increasingly the most vibrant. Here are ten reasons why Brooklyn isn’t playing second fiddle to anyone. The second largest art museum in the city and one of the largest in the world, the Brooklyn Museum is a lot edgier than the Met – it has exhibits pop culture phenomena like Star Wars. It even exhibited counterfeits found in its own collection. The sequel to Central Park? Sculpted by Frederick Law Olmsted and Calvert Vaux ten years after they finished Central Park, Prospect Park is slightly smaller, but more picturesque, more rugged, and more pastoral, and a good enough reason for moving to Brooklyn on its own. And yes, it has a lake! Coney Island, once the greatest amusement park in the country, isn’t what it was a hundred years ago – it’s better. Recently rebuilt and renovated, Coney Island has rides and cotton candy and Nathan’s hot dogs and everything your parents told you about – but without the crime and decay it once suffered. One of the most unique neighborhoods in New York City, Brighton Beach is home to a huge Russian and Central Asian population. That means unique cuisines, drinks (like Russian beer soda), and architecture. It feels like nowhere else in New York. From the classic, traditional (and Michelin starred) Peter Luger to Vinegar Hill House, and hip locations like Do or Dine, and Smorgasburg, Brooklyn has no shortage of great places to eat. If you’re moving to Brooklyn, you’ll have the chance to go to all of them. Williamsburg isn’t for everybody, but the former hipster mecca is easily the trendiest neighborhood in New York. From artisanal soap stores and vegan fashion boutiques (seriously) to haute couture and $3 Pabst Blue Ribbon, Williamsburg is a weird place, but it’s famous for a reason. The Brooklyn Bridge is almost as iconic as the Empire State Building, and for good reason. It’s one of the earliest U.S. suspension bridges, was once the longest in the world, and it’s simply beautiful. With a new park underneath it, the Bridge is as alive as ever. Brooklyn’s arena had a great first year, and year two keeps getting better. Besides for being the home of the Nets, Barclays has tons of great concerts – from Jay Z to Leonard Cohen – and it’s a lot more comfortable than Madison Square Garden. If skyscrapers define Manhattan, then brownstones define Brooklyn. The oak-lined streets and prewar row-houses are the visual life of the borough. And you don’t just have to look – you can get one of your own! Manhattan pizza? Fuhgeddabout it! New York pizza really means Brooklyn pizza. But I won’t tell you where to go. That ruins the fun of moving to Brooklyn. Hit the streets and find your own favorite! So if you’re thinking about moving to Brooklyn, why fight it? There’s a lifetime of things to do here. The move itself doesn’t have to be hard, either. U.Santini Moving and Storage makes your move easy – whether you’re moving across the country or just across town. U.Santini Moving and Storage is a family-owned business with more than eighty (yes… 80) years of experience in helping people and a deep commitment to customer service, responsibility, and dependability. We make your move as easy as possible so you can jump right in – and start enjoying life in Brooklyn. Get our Coupon for a $100 discount coupon for your upcoming move to Brooklyn! New York City is a world city. It has been the largest city in the United States since the United States was founded. And it has a vibrant, diverse culture unlike anywhere else in the world. That’s why even New York’s neighborhoods are so famous – an area of a few blocks can be extremely culturally distinct in its own right. Here are some of the best – which one do you think is the best neighborhood in NYC? A hundred years ago the Lower East Side was one of the biggest slums in the world. More than a million people, mostly Irish and Italian immigrants, lived in the tiny square of southeastern Manhattan – almost as many as the entire island today. Since then, it’s become a bohemian art utopia, and is slowly becoming a luxury neighborhood. If you like the charm of old New York with modern ingenuity alongside, it’s the best neighborhood in NYC. Triangle Below Canal Street, but don’t worry about it. Everyone just calls it TriBeCa. Land of boutiques and artsy penthouses, it’s the most expensive neighborhood in New York – even though it’s right next to one of the poorest, Chinatown. If you love celebrities and film, it’s the best neighborhood in NYC. Old Money. It’s synonymous with the Upper East Side. The old great New York families who used to live in midtown mansions a hundred years ago all live here now. If you love old-school luxury, the lifestyle of the aristocracy, the UES is the best neighborhood in NYC. Harlem has been largely African-American for 100 years – a stark contrast to the shifting patterns elsewhere in the city. Through good times (the Harlem Renaissance) and bad (the blaxploitation era), in poverty (the ‘60s) and wealth (today), it’s a center for black life in America, making it arguably the best neighborhood in NYC. Locally known as the Financial District, Wall Street juxtaposes the extreme wealth of the financial industry with the oldest part of New York – sorry, New Amsterdam. The New York Stock Exchange is right next to Trinity Church, established in 1696 and one of the largest landowners. If you like wealth and weird streets, it’s the best neighborhood in NYC. Okay, even this neighborhood is obscure. At the very top of Manhattan, it’s one of the most affordable neighborhoods in the city, and it not only has stunning views of the Palisades (the Jersey cliffs), it has an authentic medieval monastery – actually, four. The Met’s medieval museum, The Cloisters, is in the area and made from four different reassemble French monasteries. Thanks, Rockefellers! New York isn’t just Manhattan, although Brooklyn . Williamsburg is close enough, though. One stop away, it’s party central and art central at the same time, and the hippest new neighborhood. Get there before it gets too expensive – tick tock! What’s that? You’ve made up your mind, and realized that every neighborhood is the best neighborhood in New York City? You’re going to move here? That’s amazing!In a city of eight million people, there’s always room for one more. And U.Santini Moving and Storage are the experts in getting you there – whether you’re coming from Hudson or Hong Kong, Astoria or Antarctica. Our years of experience and commitment to service, and our intimate knowledge of the city, make us the perfect choice to get you where you need to go: the best neighborhood in New York City. Look no further if you are looking for a dependable, affordable, professional and courteous moving experience. Call us on 718-768-6778 today! How to move your pets safely? We at U.Santini Moving and storage love animals. 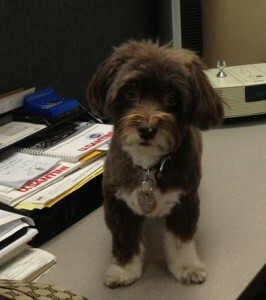 we even have our own company dog. Lola. Moving is stressful not only for you and your family, but your pets as well. Just as you must become hyper vigilant with small children when taking them into a new situation or area, the same is true of your animals, but with a twist. Whether you are moving to Manhattan, moving to Brooklyn, relocating to Queens, moving to the Bronx or Staten Island, Here are 10 basic tips to keep in mind as you prepare your move. 1. Provide your pet with a carrier or cage they can be kept in during the many phases of the move. Providing them with a place away from movers will prevent fearful or aggressive behavior from causing problems. Keeping your pet in a secured kennel will also prevent them from being able to run out a door. 1. Do not wait until the day of the move to get them used to being in a kennel if they have never been in one before. Take the cage out a week or more in advance and gradually have them spend more time in it. This is also good advice when it comes to riding in the car if you are planning on driving long distances to your new residence. 2. Be sure to keep a collar with updated ID tag on your dog or cat, even if you intend to keep them in a kennel the entire time. It is also strongly recommended that you microchip your pets. Collars are a quick way for someone to contact you in the event that you become separated from your companion, but collars can also slip off. 3. Be familiar with where veterinary facilities are, especially emergency facilities should something arise that requires your pet to have immediate medical attention. This can be especially difficult if you are planning a move that takes you out of state. 4. Pack a travel bag for your animals, just as you would for yourself or your family members. Include in their bag food, water, bowls, extra leash, litter, medications, toys and treats. If there is a special towel, blanket, or bed that he/she uses it is a good idea to have it easily accessible, this helps with transition and easing traveling anxiety. 5. For pets with multiple possessions: a great moving tip is to keep all their things in one central location/box. When you arrive at your final destination it is then a simple matter to unpack their belongings and get them situated. 6. Schedule a veterinary appointment before you move. Let your regular veterinarian know where you will be moving to, especially if it is to another state and request copies of your pet’s medical records. 7. By letting your veterinarian know where you will be moving to, they are able to provide you with medical advice if there are specific health concerns to the region you are going to. This may mean your pet will need additional vaccines or begin treatment for fleas, ticks, or heartworms if not already started on this regime. 8. If your moving plans include a flight with your pet, you will need to get a health certificate you’re your veterinarian before they will be allowed to fly. A health certificate will require the pet to be free from contagious disease and up to date on vaccines. 9. A flea treatment is also a good idea if you currently do not give them flea drops. This is precautionary if you plan to stay in a hotel or drive long distances to your new residence. 10. Make arrangements in advance for the care and transportation of your animals if you plan to move first and they will follow later. 11. Moving out of state may require you to outline a plan of where you will stop every night. Booking hotels can be tricky because not all are pet friendly. Travel during the summer season can present its own difficulties because hotels can quickly fill up and have no rooms to offer. 12. Driving with your animals may necessitate you to develop a way to let your dog out to go to the bathroom. Always keep your dog on a leash during these times, regardless of how well trained they may be. 13. Your animals will often need more rest stops than you, keep this in mind. 14. Transporting during especially warm or cold weather will also need you to take extra considerations. 15. Reptiles may need heat packs to keep them warm during cold months. 16. Hot days will need a functional A/C and never leaving the animals alone in the vehicle. 17. Carry a specialty first aid kit for your pets in case of an emergency. These can be purchased over-the-counter, or you can put one together yourself with items you have in your home. 18. Once you have gotten to your destination, make setting up your pet’s area one of your priorities. Use our coupon to help reduce the cost of your move!